Mon., March 12, 2018, 12:19 p.m.
BOZEMAN, Mont. 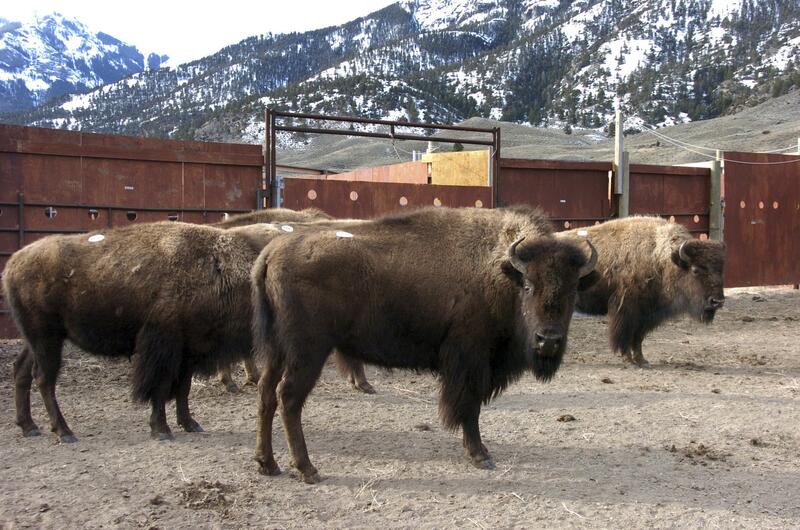 – Three people who were arrested while protesting the slaughter of bison near Yellowstone National Park have pleaded guilty to misdemeanor charges and are banned from the park for 5 years. The Bozeman Daily Chronicle reports 22-year-old Hannah Ponder, 25-year-old Cody Cyson and 36-year-old Thomas Brown appeared in U.S. District Court in Mammoth Hot Springs on Monday. The members of an advocacy group called Wild Buffalo Defense had been jailed since their arrest last Tuesday near the park’s Stephens Creek Capture Facility. All three pleaded guilty to entering a closed area of the park. Cyson and Brown also pleaded guilty to interfering with an agency function after chaining themselves to a squeeze chute. All were fined. Ponder is from Donnelly, Idaho; Brown is from Hardwick, Vermont; and Cyson is from Minnetonka, Minnesota. Published: March 12, 2018, 12:19 p.m.